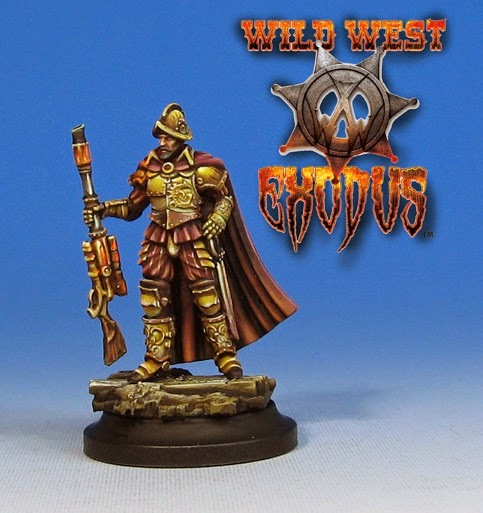 With the Wild West Exodus kickstarter just days away, we have the first of four new faction leaders, or Bosses. Meet Ponce De Leon, who has apparently discovered the Fountain of Youth. It's not the most pleasant process, but eternal youth has its purposes! He leads the Golden Army, one of four new factions that will join the existing six. 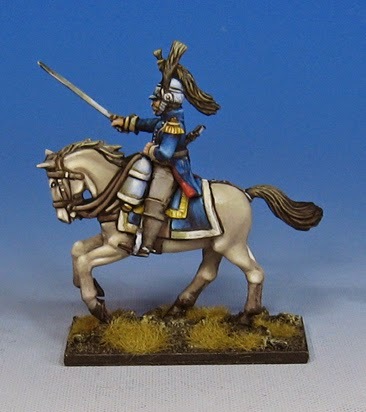 I look forward to painting all of them, but painting an army with this style army will be a real blast!!!! The cloak also involved one of my favorite color combinations... that is, a deep red lightened with a rotting flesh type of color. This keeps the reds from getting too orange, but there is enough yellow in that greenish shade to prevent the cloak from becoming pink. I used a more orange type of color to lighten the inside of the cloak, and I used a lot of Fluorescent yellow in the golds. That gave it quite a sparkle, as always! Obviously I included the Fluorescent orange in the RJ-1027 glow. Here he comes to save the day! Well, maybe not. but he is riding a white horse! 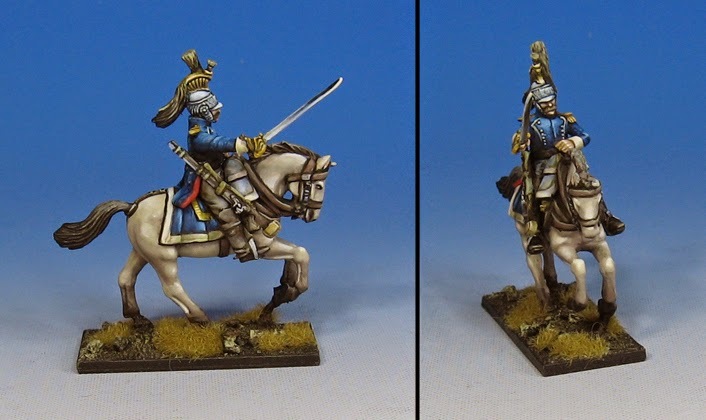 It was a rare and pleasant change of colors for the Napoleanic horses. A few more command figures, and that's it!